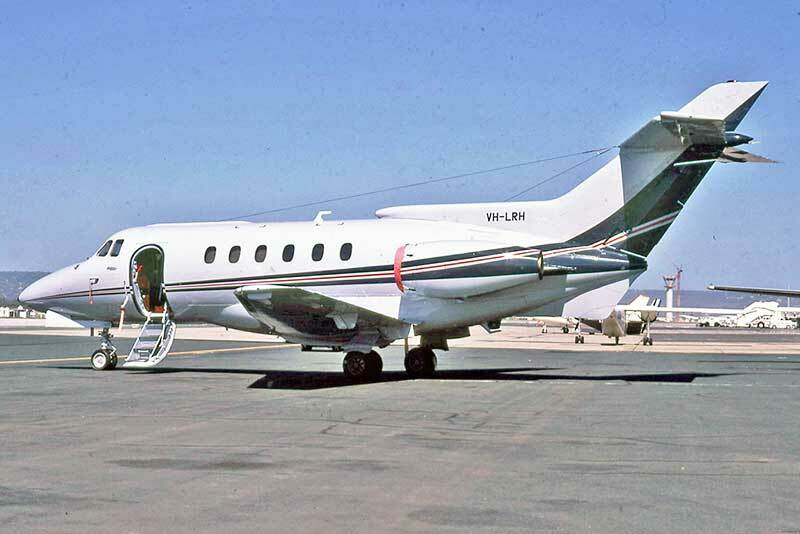 A selection of my photographs taken at Perth Airport, Western Australia during the 1980s. 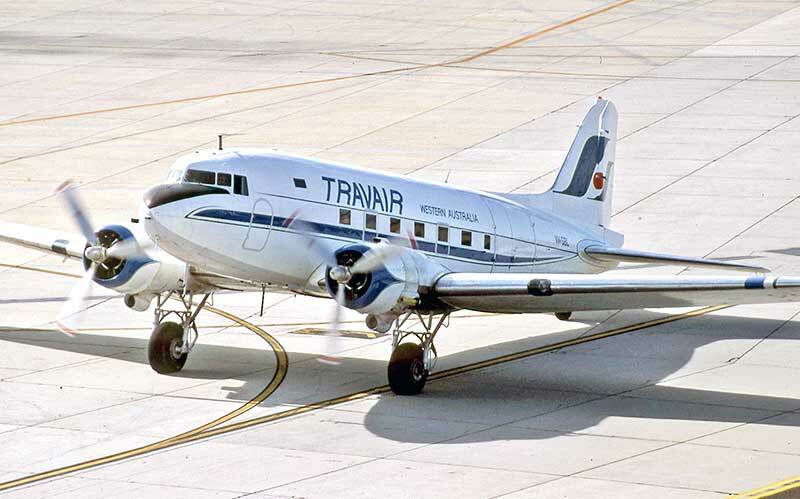 Many from the balcony at my workplace, the old Control Tower, which provided a perfect vantage point. 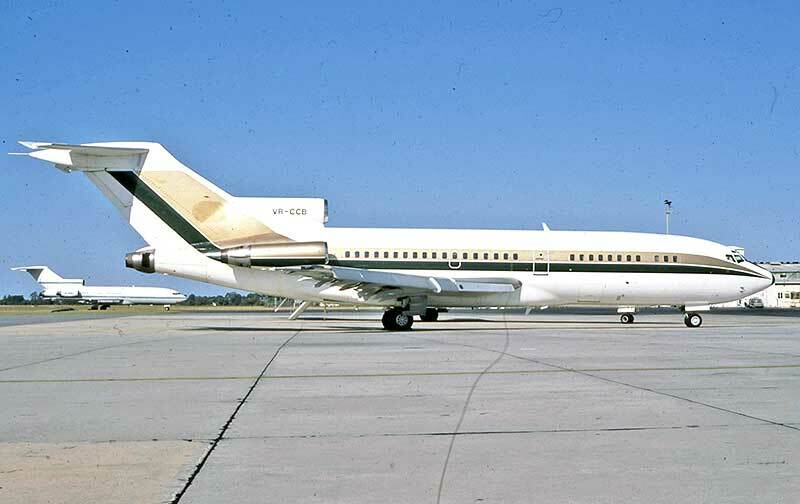 with the International section to the the left. 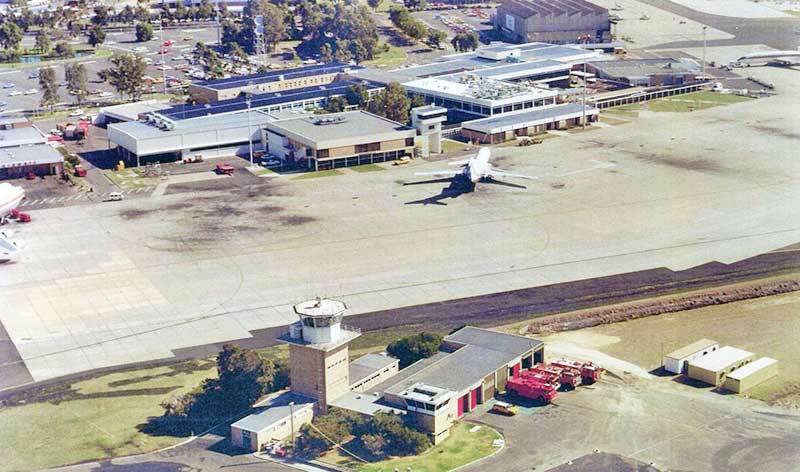 The 1961 Control Tower and Airport Fire Service are in the foreground. 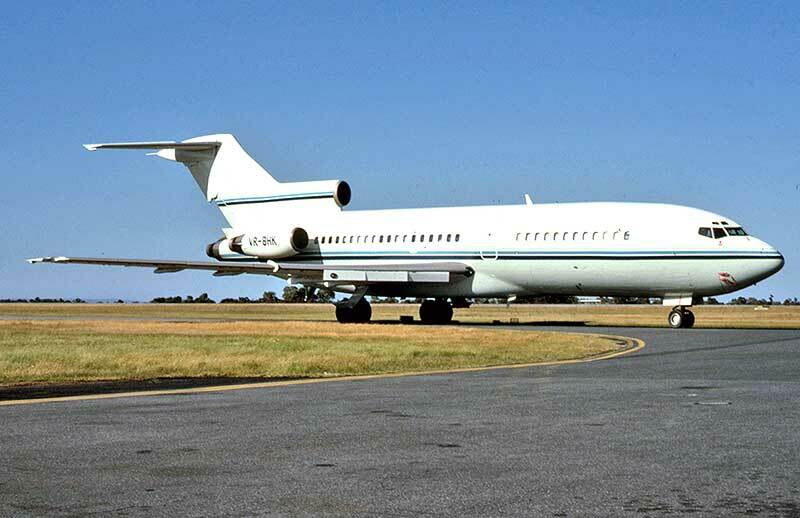 passing airliners and the wafting smell of fried food from the exhaust fans of the Orbit Inn cafe in the terminal. 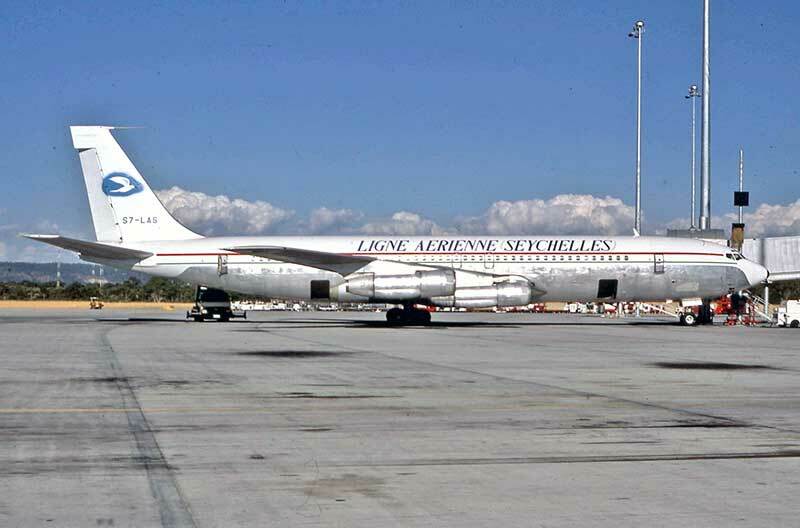 In 1987 a new International Terminal was opened on the other side of the airfield, where a modern high-rise Tower was built. 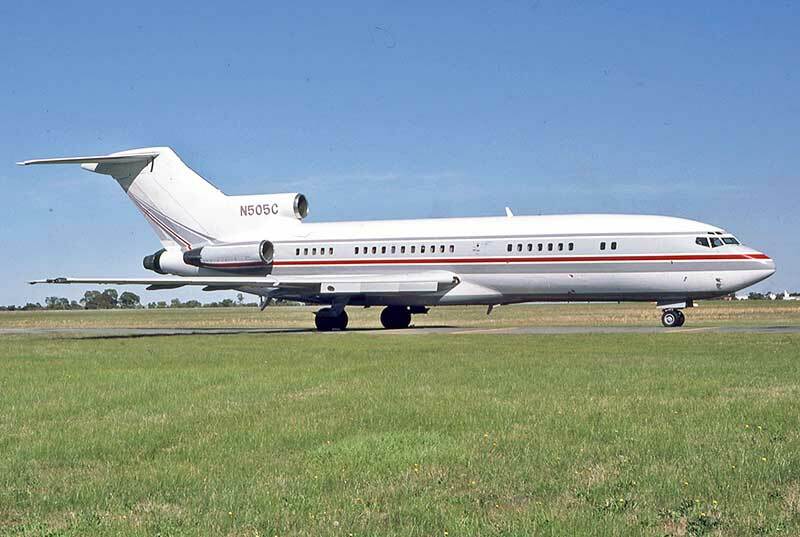 By contrast it felt remote, the only noise the hiss of airconditioning and the only discomfort the building's swaying in high winds. 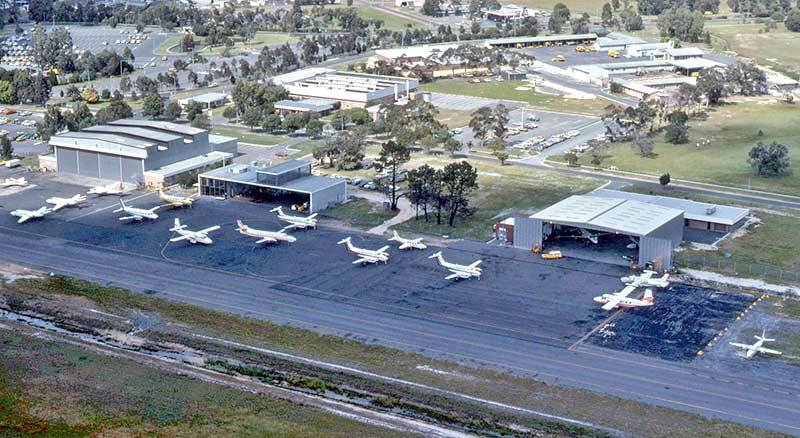 The Perth Airport domestic parking bays at dawn during my last night shift in the old Tower in April 1987. 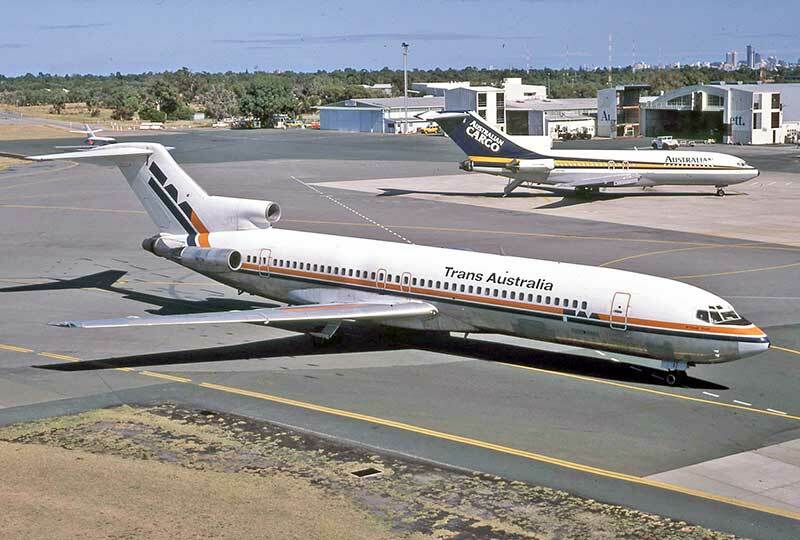 The Boeings on the left show the transition from TAA to Australian Airlines paint schemes, Ansett Airlines B727s behind. 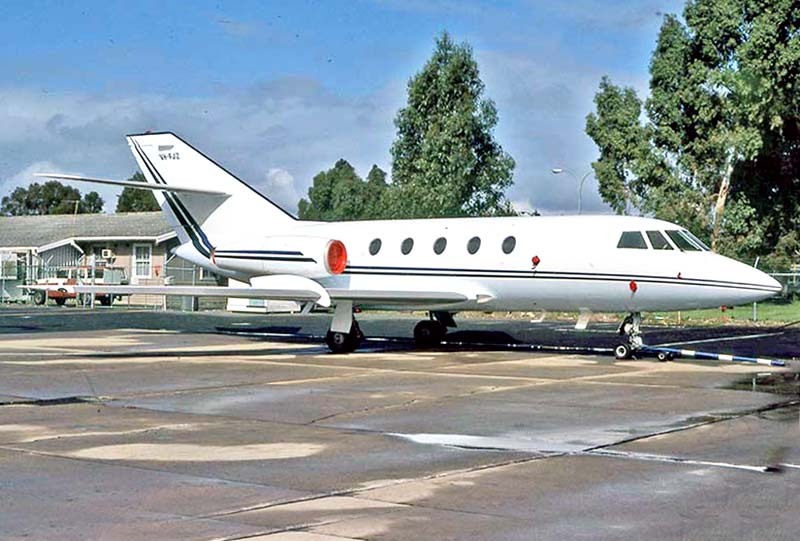 I took this shot of the Skywest Airlines parking area of the General Aviation ramp in September 1980. 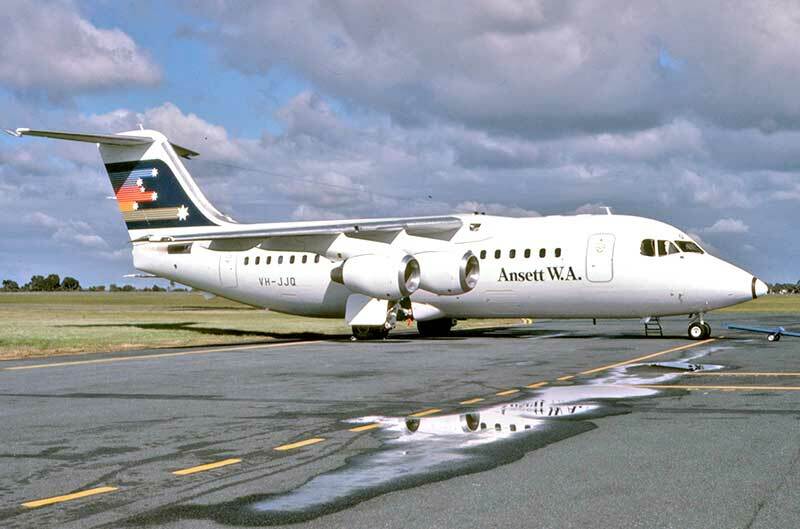 Perth-based Ansett subsidiary MacRobertson Miller Airlines opened the decade with a fleet of Fokker F.28 Fellowships. 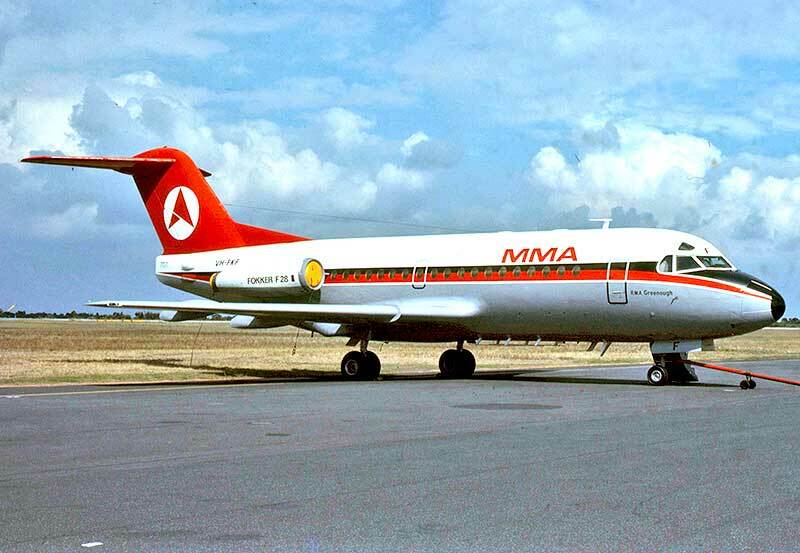 Airlines of WA, as seen on VH-FKC RMA Arnhem Land. 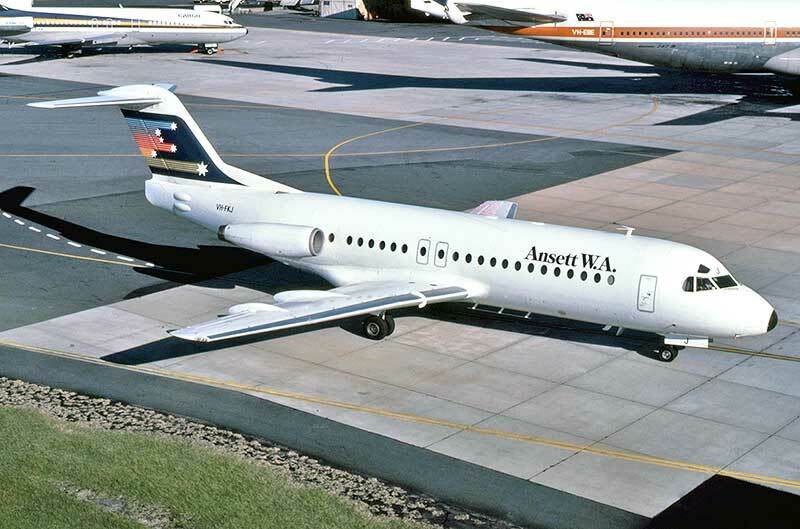 Airlines of WA to Ansett W.A., adopting the Ansett white scheme with no aircraft names. 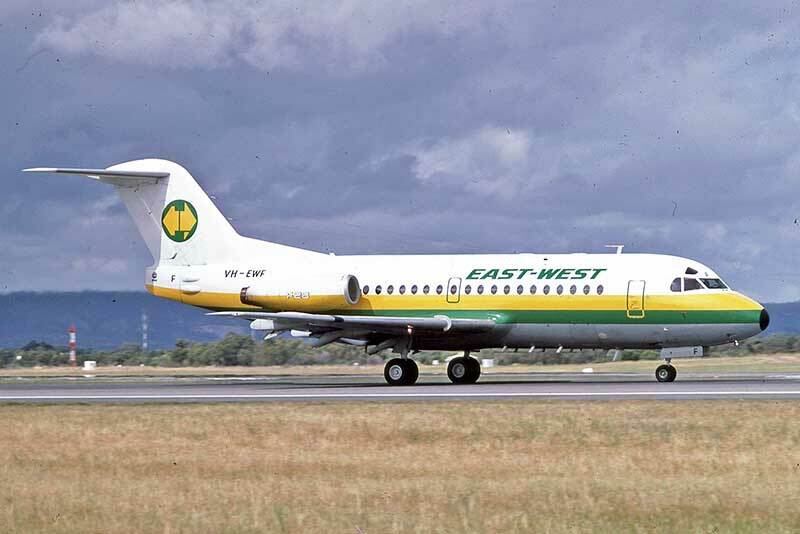 type's early promotional epithet Junior Jumbo, VH-JJQ was the second delivered to Perth, arriving in June 1985. 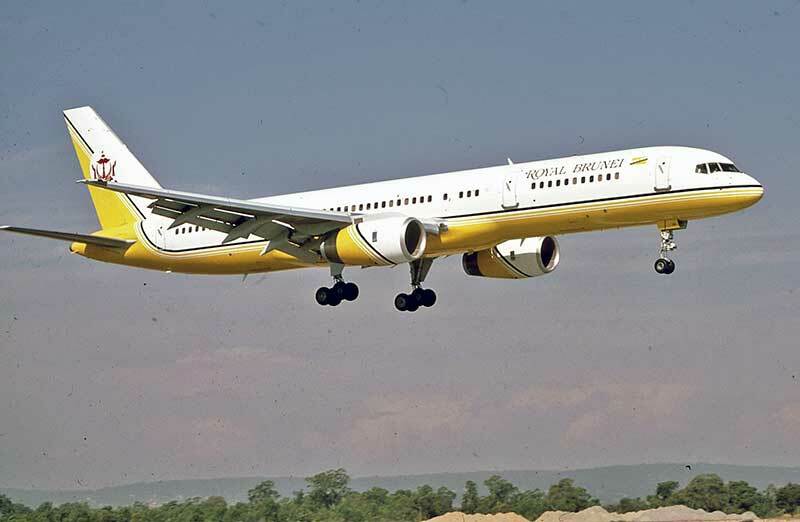 Boeing 767s and 737s introduced later in the decade. 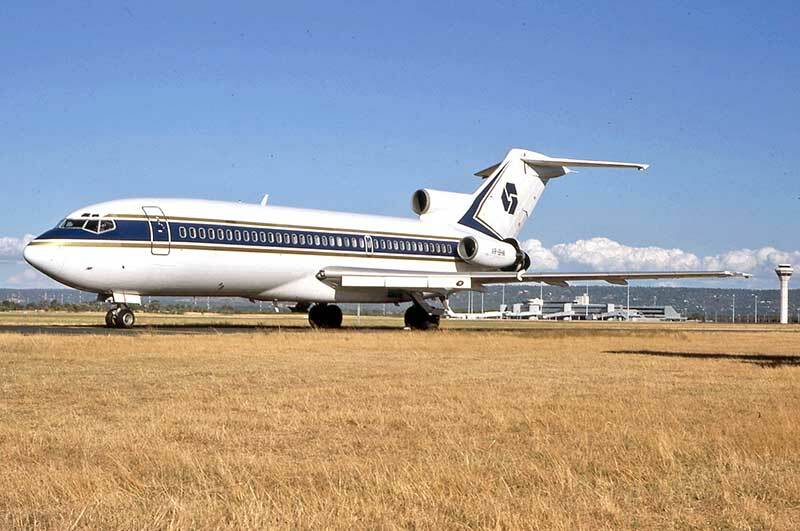 Here's 727-277LR VH-ANA in August 1982. 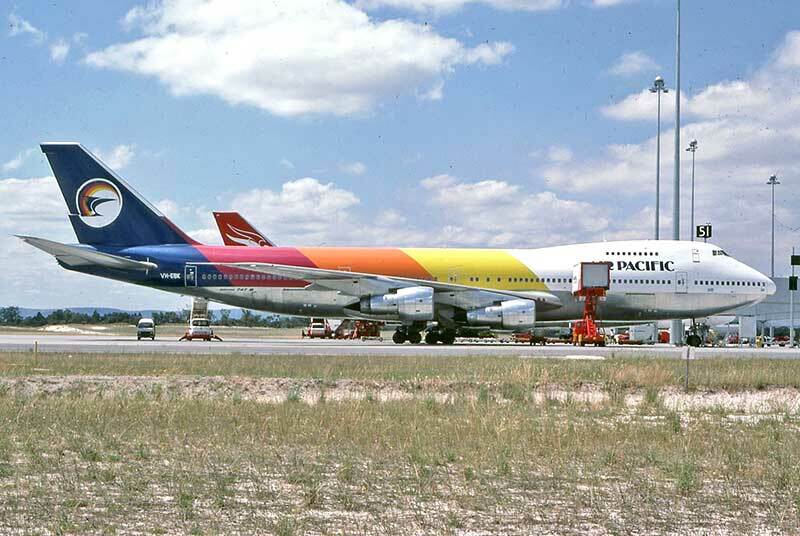 VH-TBI in February 1987 displays TAA's final colour scheme prior to the change of name to Australian Airlines that year. 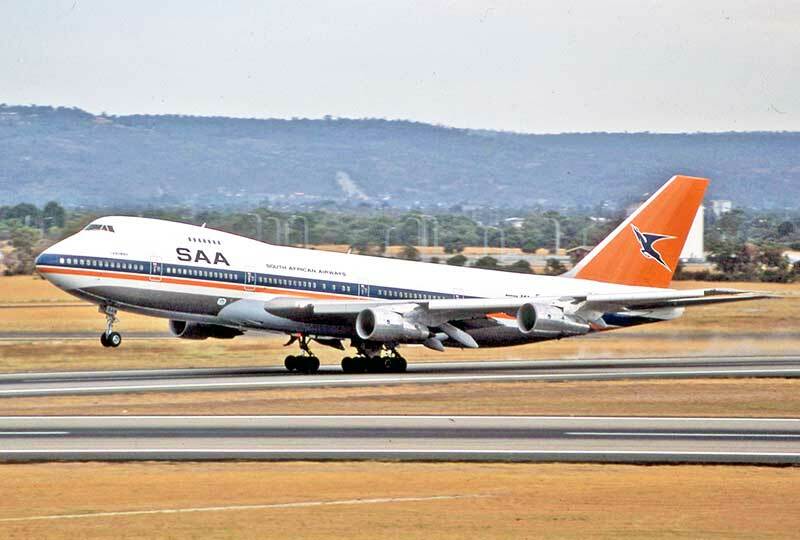 of its earlier pleasantries. 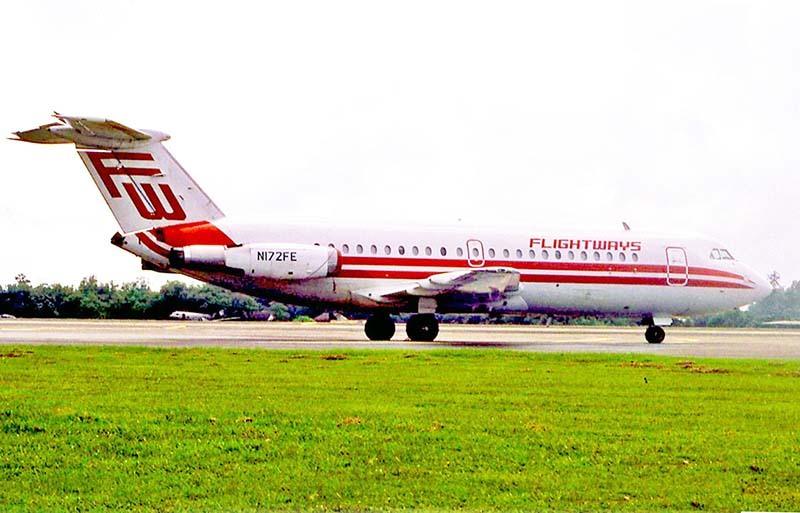 TAA Airbus A.300s are seen in 1987 through shrubs along the edge of the domestic parking ramp. 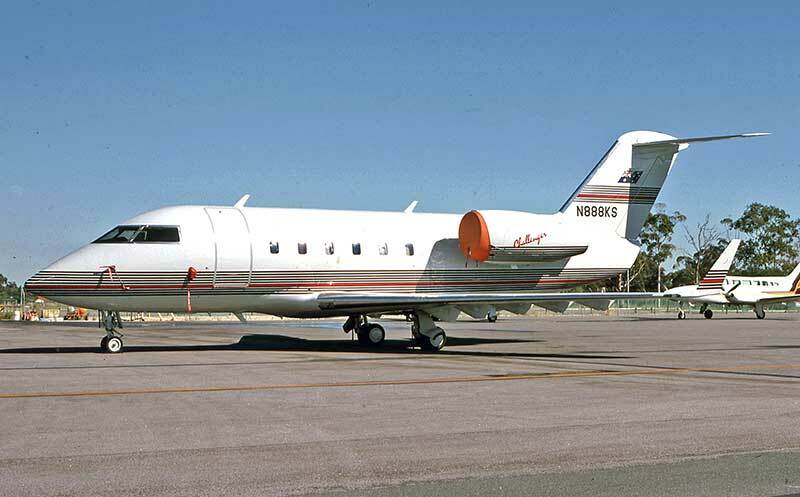 with F.28-3000 Fellowships. 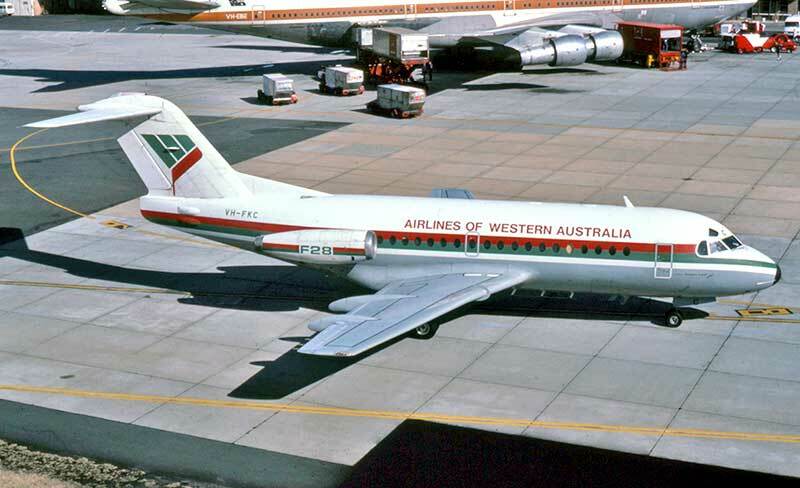 The convenient route was discontinued in April 1988 when Ansett took over East West. 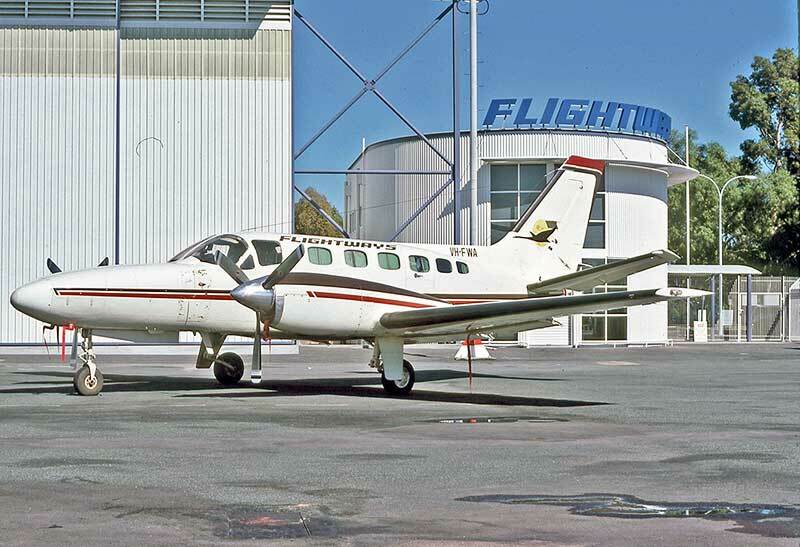 photographed in May 1988 at their newly-built terminal on the GA ramp, next to the Ansett Air Freight hangar. 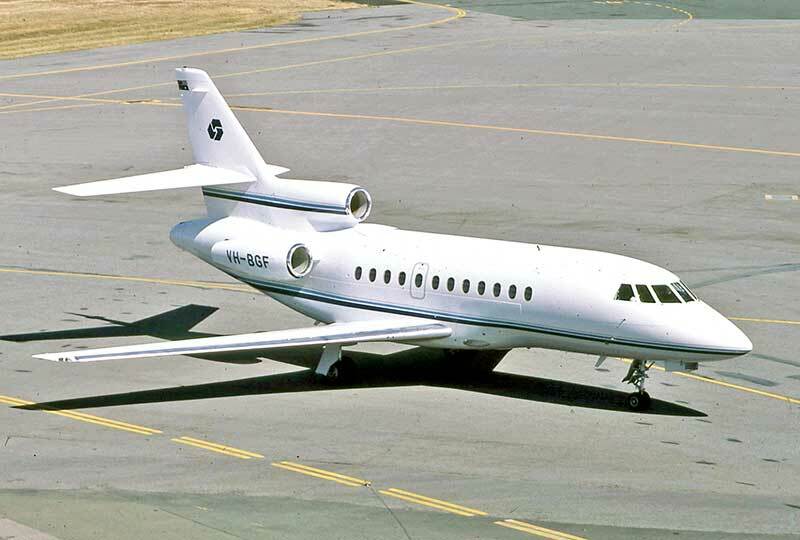 Flightways Dassault Falcon 20 VH-FWO in May 1988 has the company's black swan motif on the tail. 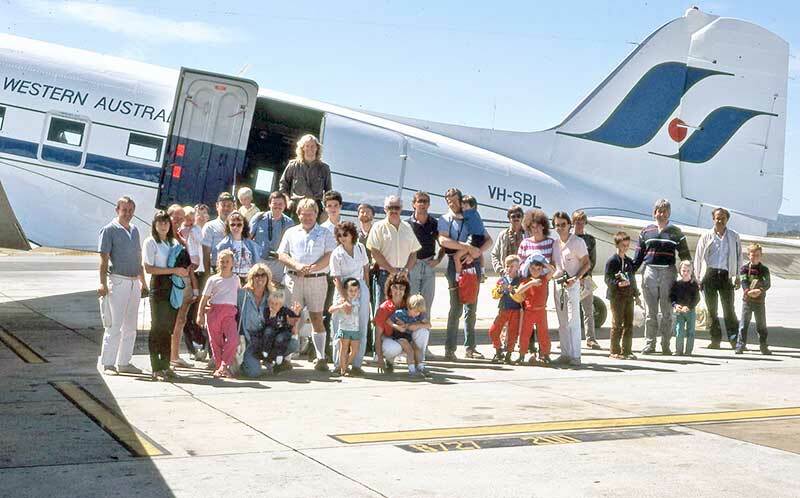 passengers to the Christmas Island casino in the Indian Ocean. 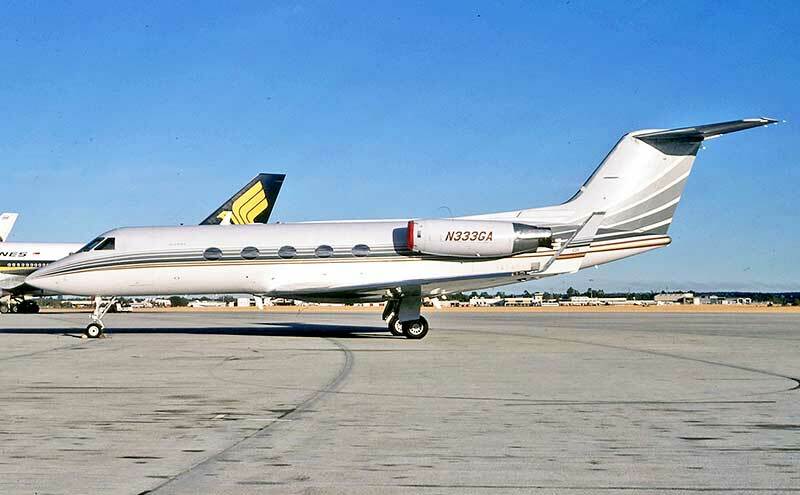 Here it is at Singapore-Seletar in January 1988. 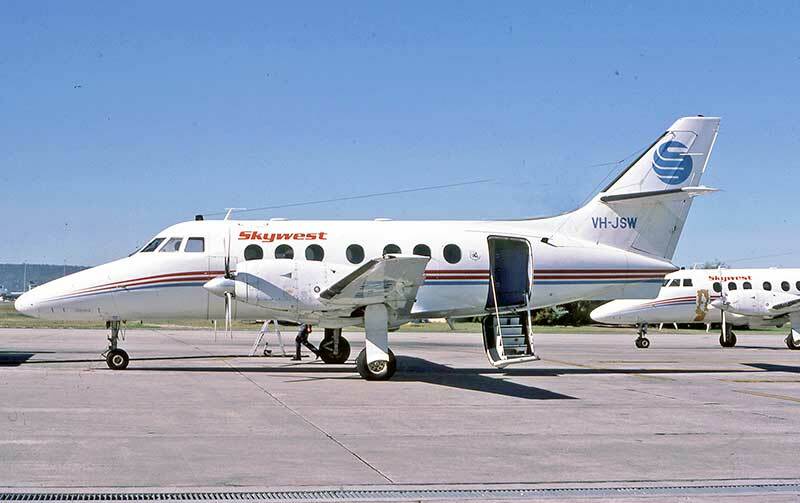 Skywest Airlines grew from the merger of Perth operators including Civil Flying Services and Trans West Air Charter. 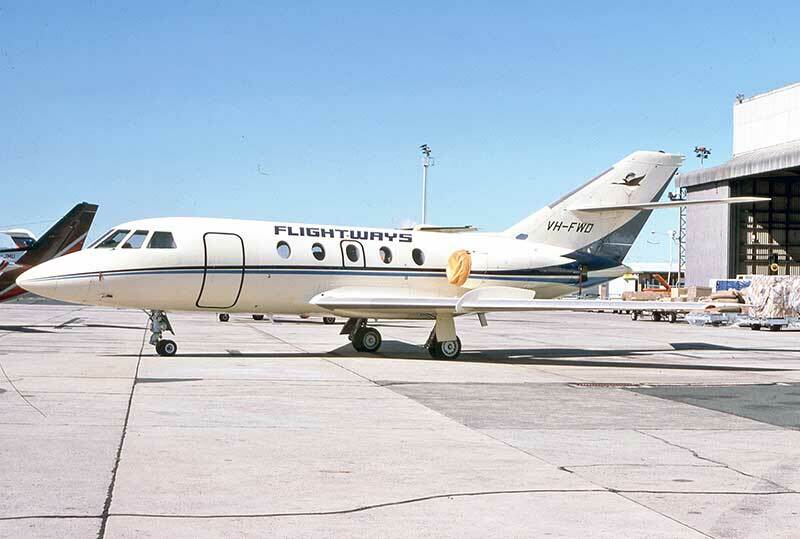 British Aerospace Jetstream were introduced for their scheduled airline services. 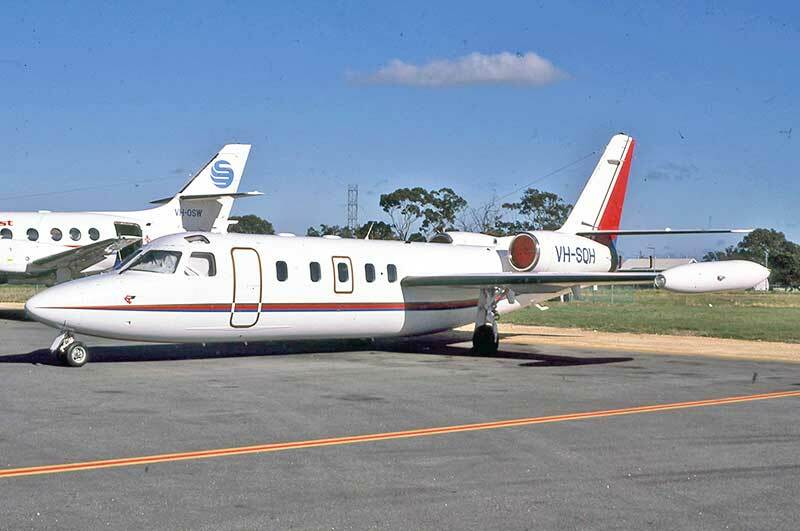 VH-JSW in May 1988. 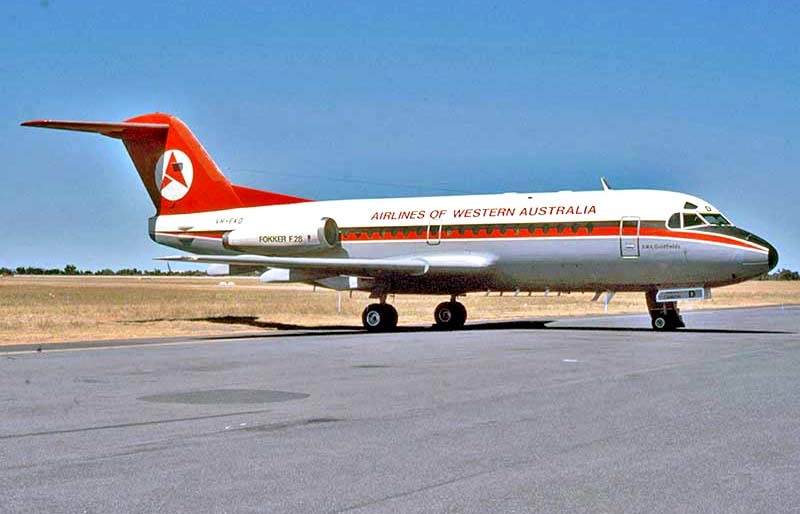 Rottnest Island. 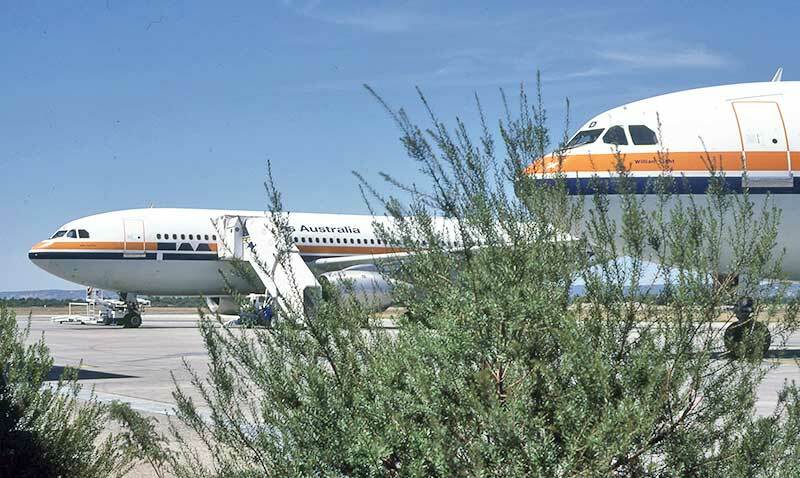 In 1986 the name changed to Rottnest Airbus and its own passenger terminal was built at Perth Airport. 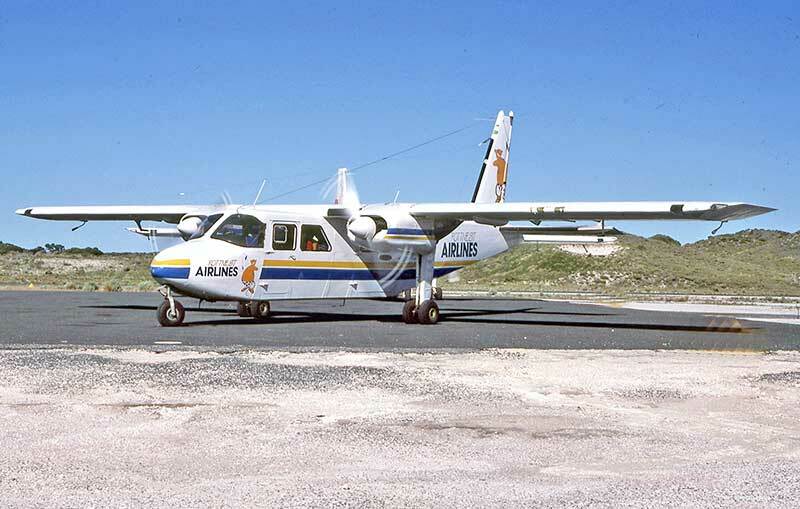 VH-IGT seen at Rottnest Island in June 1985. 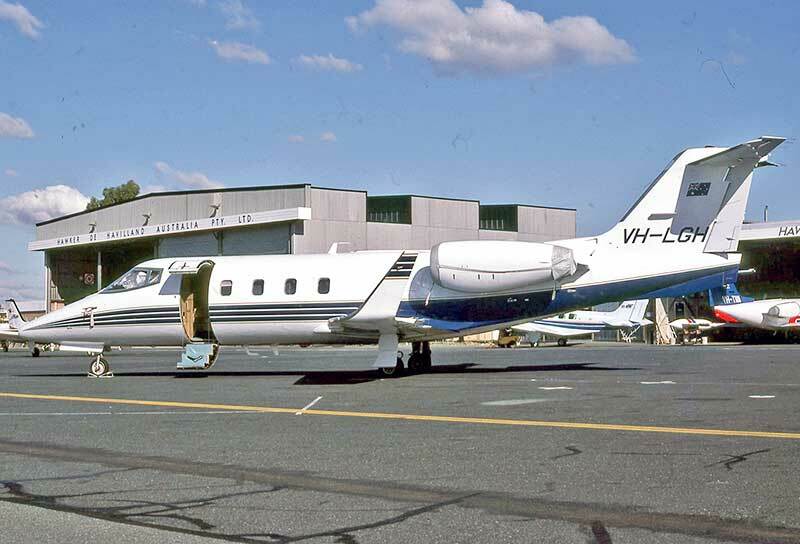 Travair Western Australia to fly charters with VH-SBL, a freighter he refurbished himself at Essendon. 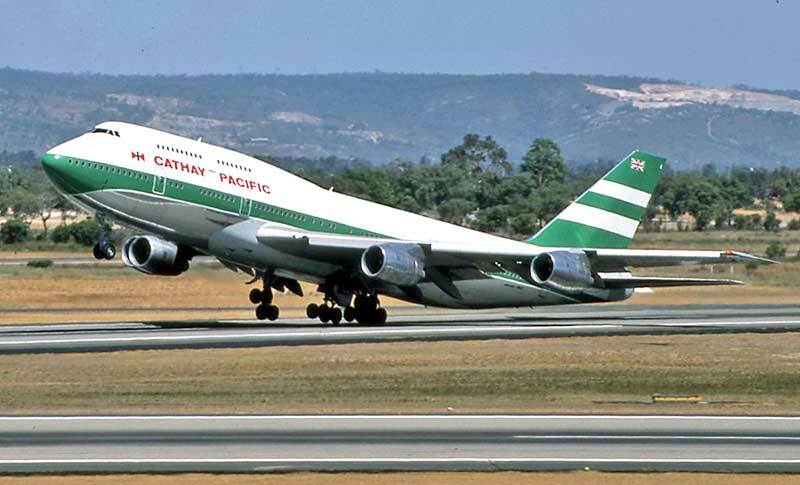 Cathay Pacific Airways replaced their L1011 Tristars with Boeing 747s on the Hong Kong run. 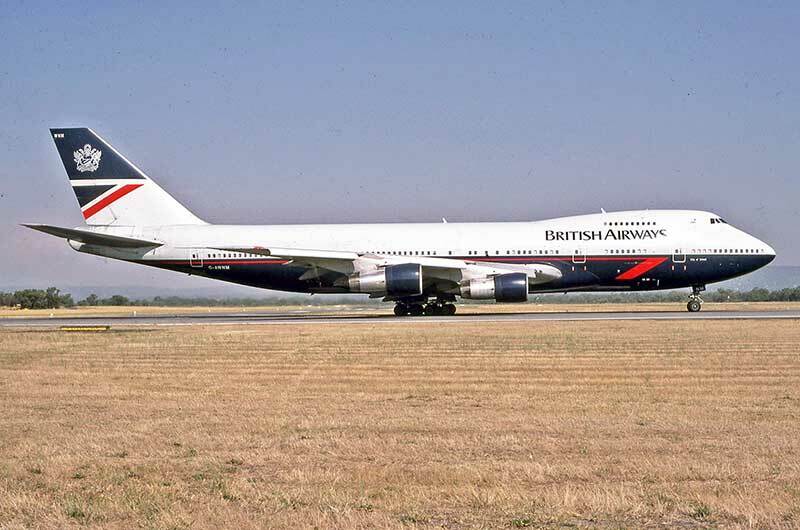 Qantas Boeing 747 VH-EBK in Air Pacific scheme was often used on Qantas international services through Perth 1987-88. 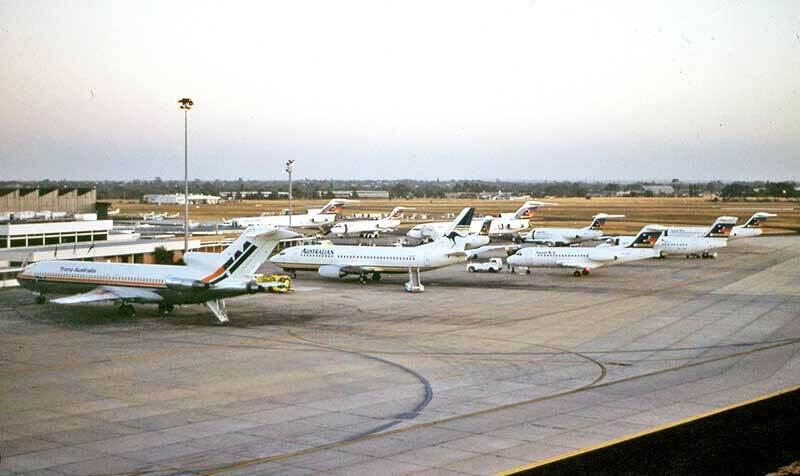 This shot was taken in October 1987 at the newly-opened International Terminal on the eastern side of the airport. 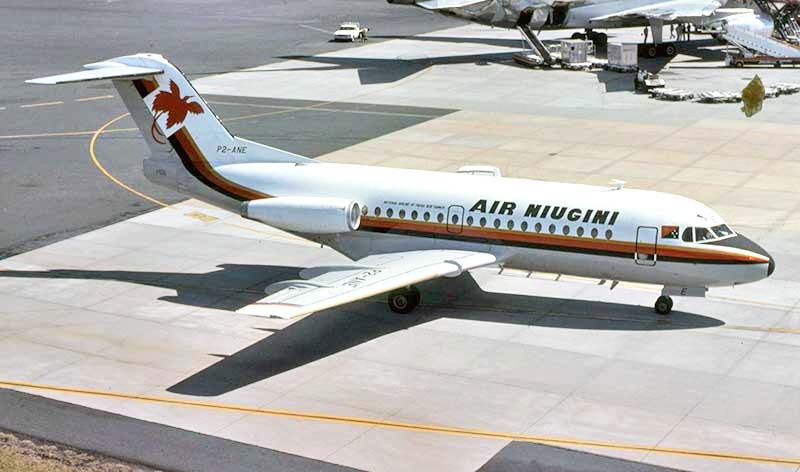 Air Niugini F.28s were regular visitors for major servicing by MMA. 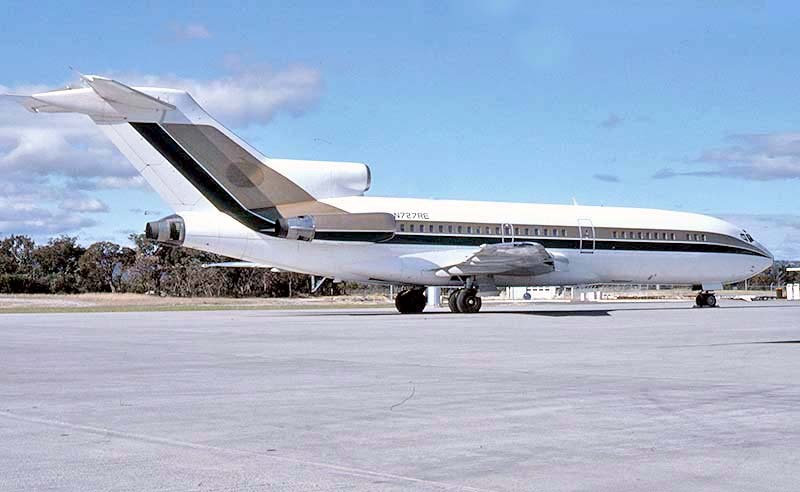 P2-ANE departs for Port Moresby in September 1980. 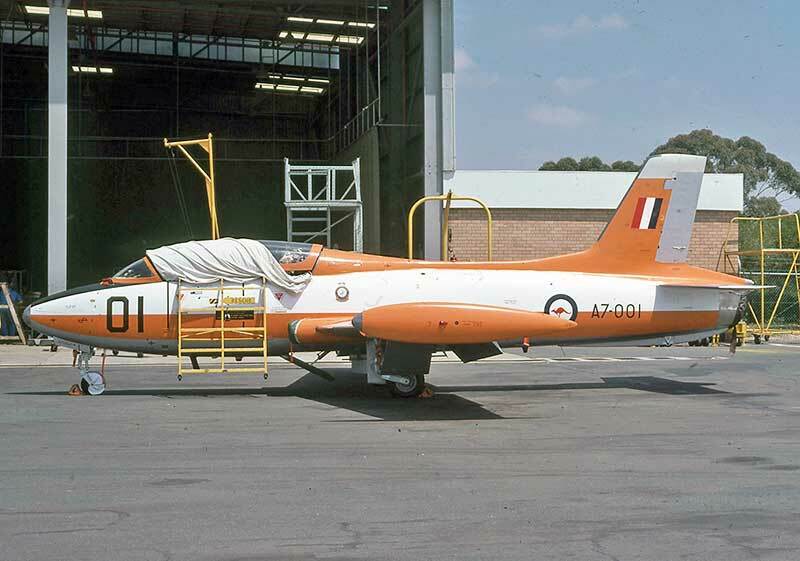 Macchi MB-326 trainers from RAAF Pearce continued to have overhauls by Hawker Pacific at Perth Airport all decade. 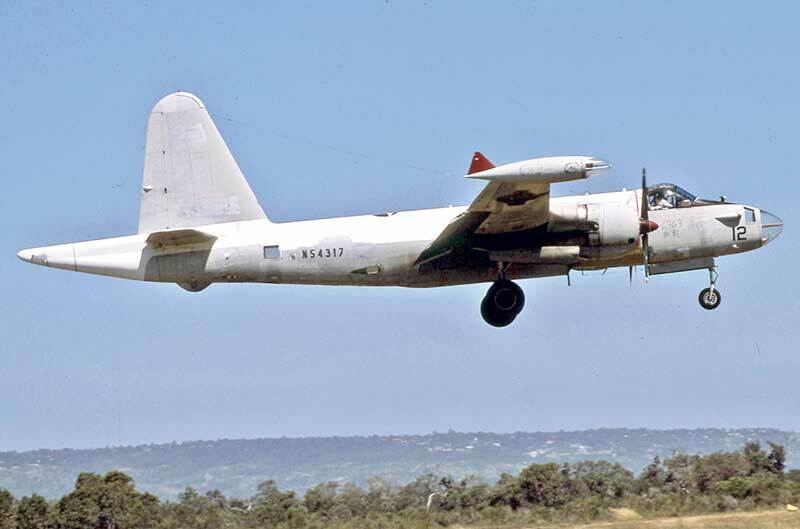 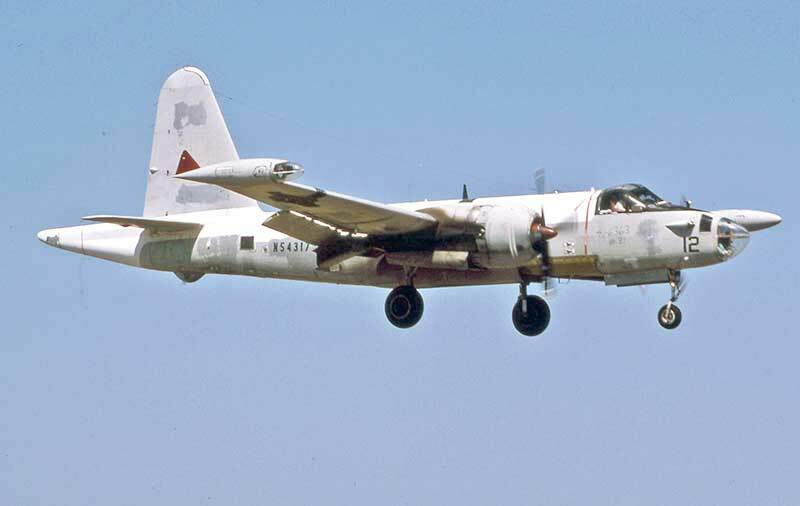 was tanked as a fire bomber, but Aero Corp's plan for a fleet of Neptune fire bombers in Australia was doomed to fail. 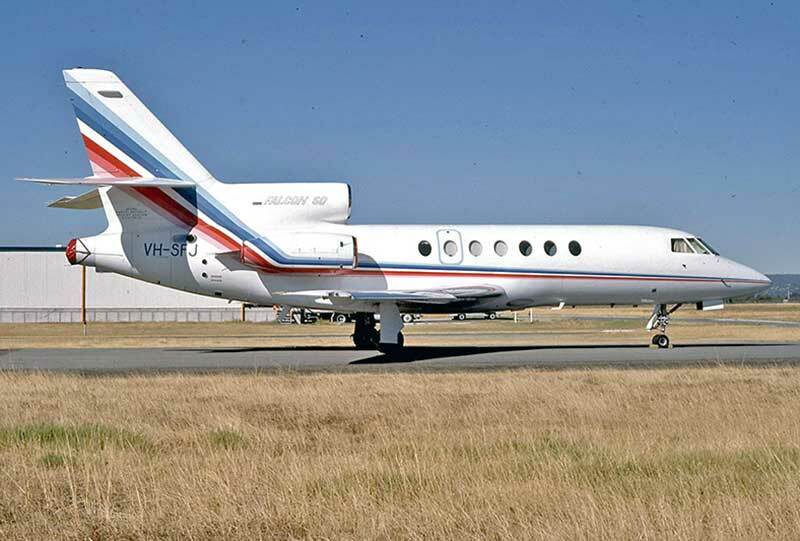 increasingly flamboyant private jets at Perth Airport. 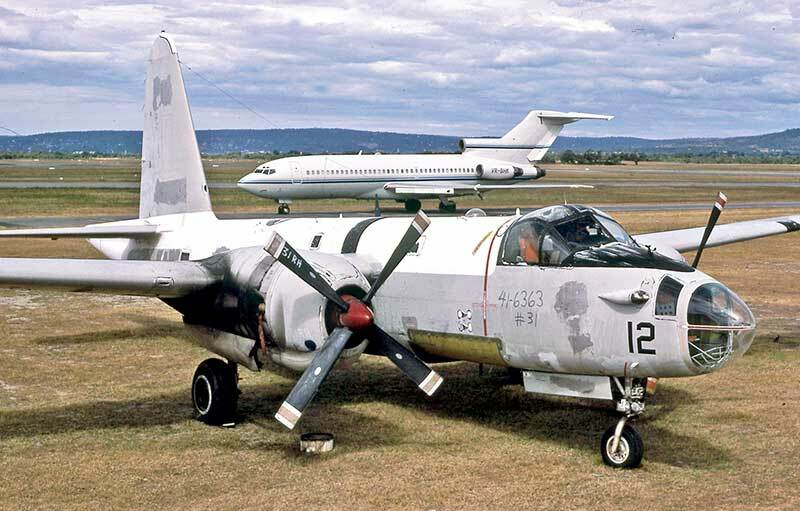 Each aircraft had dedicated aircrew and support services. 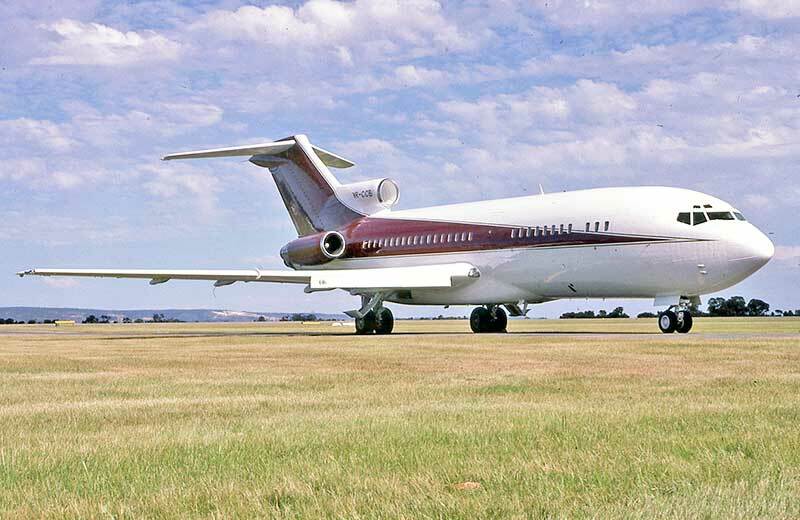 Boeing 727-30 VR-BHK arrived for Alan Bond in July 1986. 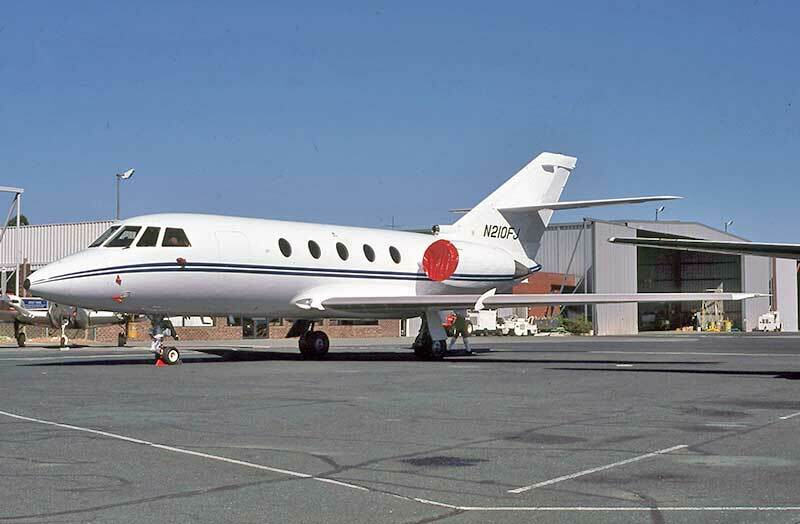 The Bond Group insignia is on the tail. 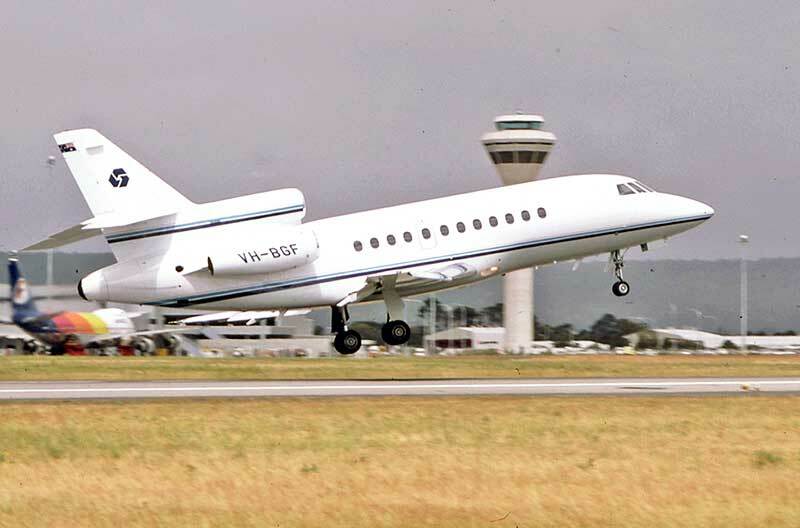 homes in Perth and Monaco, crewed and dispatched by Executive Air West of Perth. 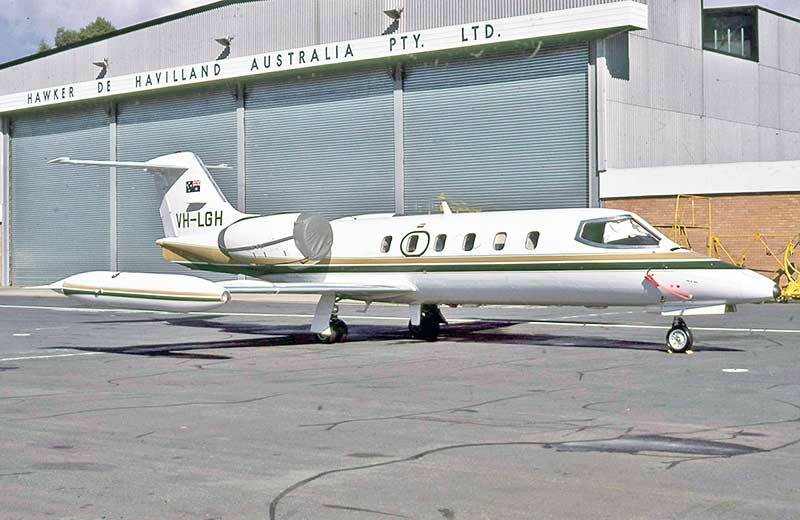 Ric Stowe's Falcon 50 VH-SFJ at Perth in March 1985. 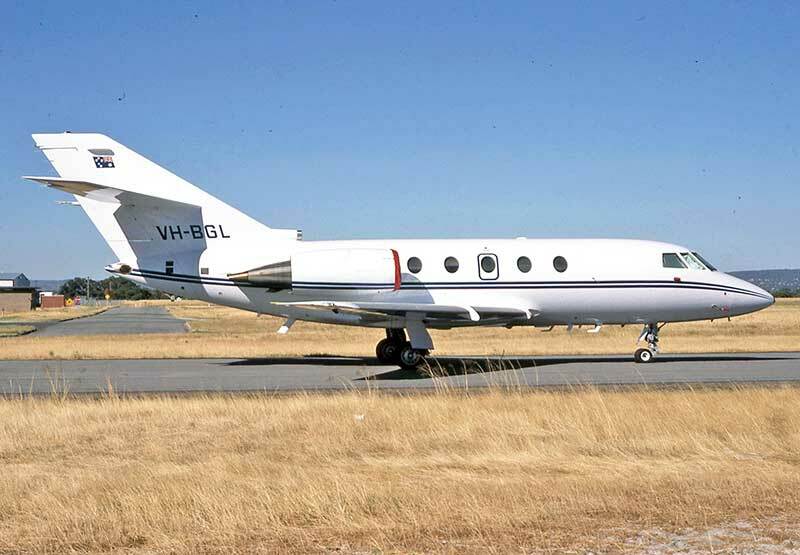 WA iron ore mining magnate Lang Hancock owned 30 aircraft over the years, including a series of Learjets. 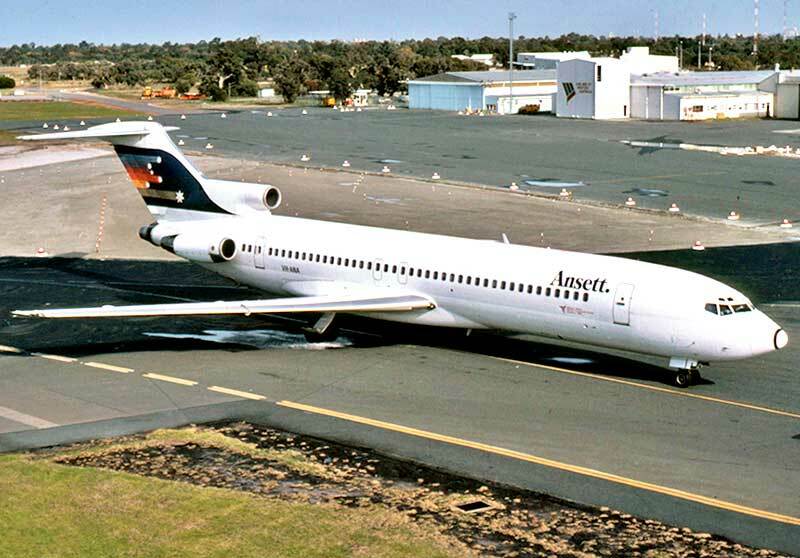 Stepping out of the ground floor door of the old Tower at the end of a shift, ATCs had to watch for taxying airliners this close. 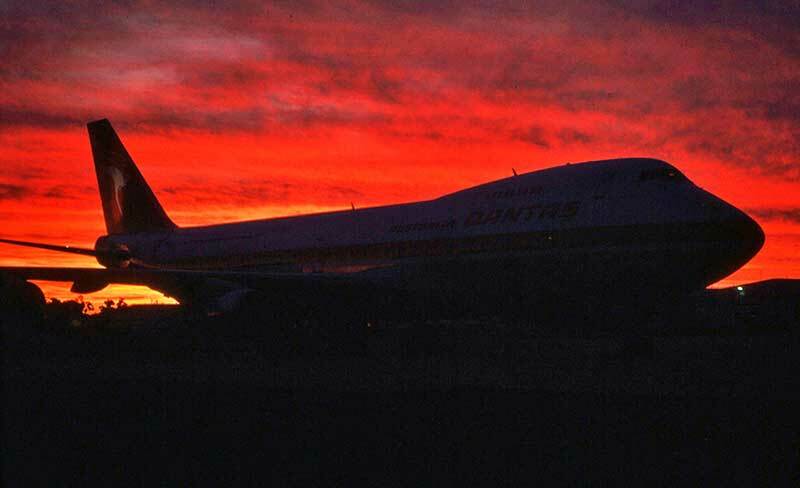 This was a standard lens shot against a nice sunset, before walking across the ramp behind the inbound B747.